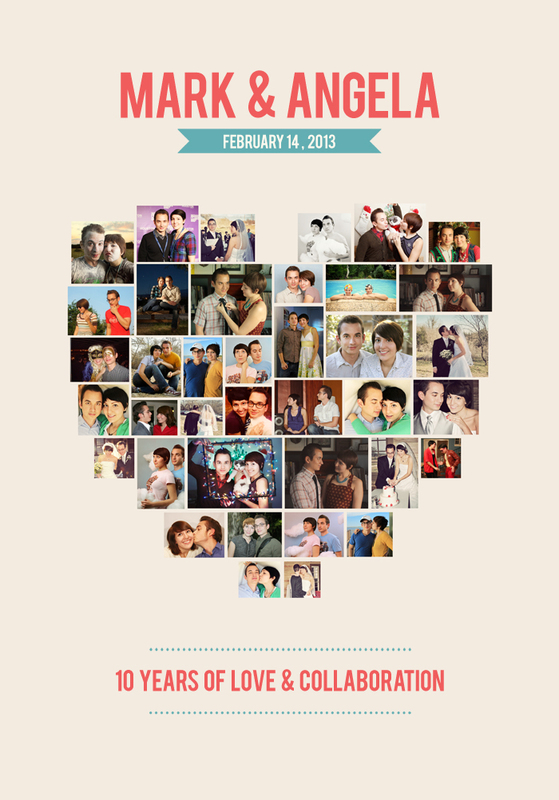 Today Mark and I are celebrating 10 years together. It’s hard to put into words how incredible it’s been to share all this time with someone like him. He has loved me, encouraged me, enlightened me, and helped me become the person I am today. I think it’s amazing that we’ve collaborated so well together all this time. Not many people are in love with their best friend, who happens to also be their creative partner in crime. I’m grateful. We were up late last night working (as usual), suddenly it was midnight and Mark wished me a Happy Anniversary. We always try to be the first to wish each other “Happy Anniversary”. He got it this time. Well, Happy Anniversary & Valentine’s Day to my Honey. Love you too much. p.s. We’re getting ready for a Valentine’s Day / Anniversary / Housewarming Party. We’ve been learning love songs to play with our guests, and planning lots of lovey-dovey things to do. It’s going to be so much fun! Thanks Jenni! Much love to you today!